The Competition and Consumer Protection Commission (CCPC) is responsible for the safety of a wide range of non-food consumer products covered by five EU Directives and the regulations coming out of these. This includes toys, recreational personal protective equipment, domestic electrical and gas appliances and general consumer products such as furniture, children’s clothing, window blinds and cigarette lighters. Sometimes a manufacturer or distributor will become aware of a fault in a product or in a batch of products and if they think the product is unsafe they are legally required to stop selling the product. They may also request consumers to return the product to them for repair, or provide a replacement or refund. This is known as a product recall. It’s not always possible for them to contact everyone who has bought the product directly, so you might see an advertisement in the paper or a notice in shops which sold the product about the recall. We are responsible for the market surveillance and processing of non-food consumer product recalls in Ireland. If we believe that a product is a risk to the health and safety of consumers, we have the power to recall that product from the Irish market and we can prosecute a retailer if they do not comply. We are also the Irish contact point for a Europe-wide rapid alert system for unsafe products called RAPEX, which contains a list of all product recalls that have taken place in the European Union. This means if an unsafe product is found anywhere in Europe, the CCPC and similar agencies across Europe will quickly know about it through RAPEX. When we are informed about a recall through RAPEX we update our list of product recalls and let consumers know through social media. We also publish a weekly overview of the products that cause a serious risk to consumers, as reported by the member states’ national authorities and you can sign up to our Product Recall RSS feed to make sure you are kept up to date. By raising awareness of product safety amongst consumers, our work helps reduce the likelihood of you encountering unsafe products. Certain types of products sold in the EU must comply with specific safety regulations. These products must also carry the CE mark which shows that they meet the required safety standards for that type of product. 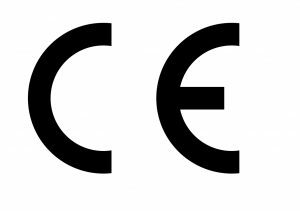 The CE mark should appear on the product, in the instruction manual or on the packaging. Always look for the CE mark when shopping for these products and if you can’t find it, don’t buy it. There are other products that do not require the CE mark but must comply with General Product Safety Regulations to ensure that they are safe. These include childcare items, such as cots or babies’ soothers/dummies and other items like cigarette lighters and Christmas decorations.